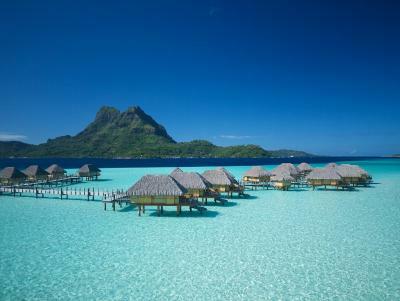 Lock in a great price for Bora Bora Pearl Beach Resort & Spa – rated 9.1 by recent guests! The staff was very attentive, accommodating and super nice. The grounds were well kept and manicured. The food was hit or miss but the experience made up for that. Beautiful location. Looks just like the pictures advertised. Bora Bora is the most beautiful place in the world Pearl Beach Resort is an excellent place to be: great staff, delicious food, fantastic location. Best hotel ever been! Bungalows are wonderful and the staff was amazing!!!! AUGUSTIN and LOUISE gave us all their dedication and advices!!!! They took us in their personal car to the supermarket and even wanted to show us the island of bora bora in their car in their free time! We really enjoyed the beauty of the hotel with the magnificent views of the Otemanu surrounded with the hospitality and warm Louise and Augustin. Congrats for all the well done job and the treatment to your guests!!!! everything!! Very nice room and facilities and food! Views are incredible and it is very calm! Nice staff!! The property is beautiful and well cared for in a lovely setting with an epic view. The staff were very very friendly and went the extra mile. When we came without a power adapter for the European plugs the resort provided us one for free. That really saved us! The beach toys, paddleboard’s, kayaks and snorkeling gear were all part of the package and they were free so that made it a lot of extra fun! I learned how to snorkel here and they had a number of coral gardens where you could snorkel and explore the environment and the many different kinds of fish here so that was a highlight for us! Service and smiles were constant; room quality was surprisingly pleasant. Bora Bora Pearl Beach Resort & Spa This rating is a reflection of how the property compares to the industry standard when it comes to price, facilities and services available. It's based on a self-evaluation by the property. Use this rating to help choose your stay! 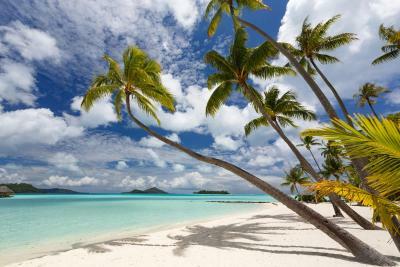 One of our best sellers in Bora Bora! Guests at this luxury resort can choose between garden suites with private pool, beachfront suites with a private hot tub, or overwater bungalows with direct access to the turquoise waters below. 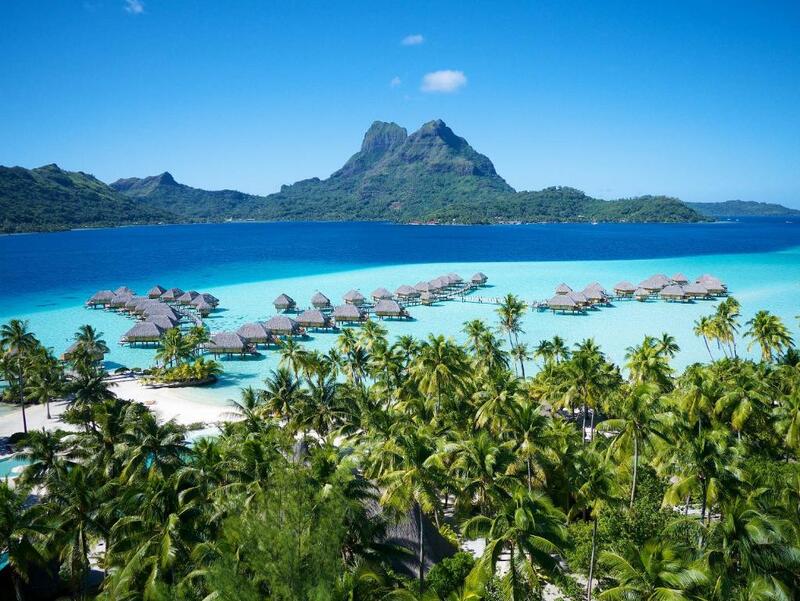 Bora Bora Pearl Beach Resort & Spa offers luxury accommodations with stunning views of Mount Otemanu. Each includes a 20-inch LCD satellite TV, air conditioning and free Wi-Fi. There are 3 restaurants and a bar, including Tevairoa Restaurant which overlooks the turquoise waters of the Bora Bora Lagoon and offers al fresco dining on the terrace. Located on the beach at Motu Tevairoa, Pearl Beach Resort & Spa Bora Bora features 2 boutiques, a very large outdoor swimming pool, diving center and flood-lit tennis court. 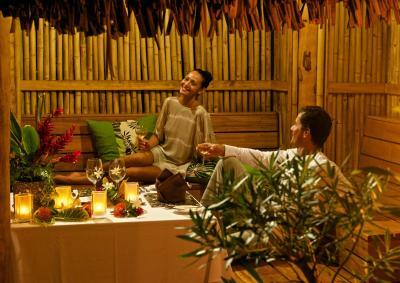 Indulgent beauty treatments are on offer at Tavai Spa. The resort is 10 minutes’ by private boat from Motu Mute Airport. 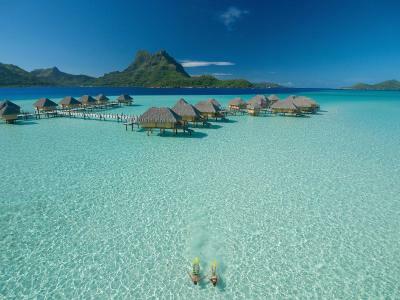 When would you like to stay at Bora Bora Pearl Beach Resort & Spa? This bungalow features a private plunge pool and tropical gardens surrounding it. This suite features a hot tub, direct access to the beach and stunning lagoon and mountain views. The bathroom includes a shower which is half indoors and half in an enclosed garden. This spacious bungalow features a patio overlooking the lagoon. There is a glass coffee table that slides open so you can admire and feed the beautiful lagoon fish below. It includes a bathtub and a separate shower. This bungalow features a glass coffee table that slides open so you can admire and feed the beautiful lagoon fish below. The bungalow also has a 32-inch TV and an iPod docking station. 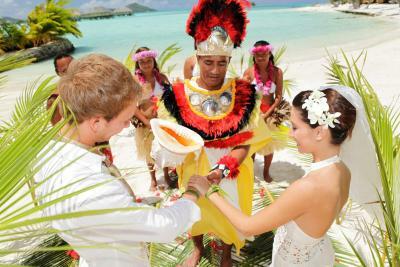 House Rules Bora Bora Pearl Beach Resort & Spa takes special requests – add in the next step! A XPF40000 damage deposit is required on arrival (around USD376.88). This deposit will be fully refunded at check-out, as long as there isn't any damage to the property. Bora Bora Pearl Beach Resort &amp; Spa accepts these cards and reserves the right to temporarily hold an amount prior to arrival. Bora Bora Pearl Beach Resort & Spa accepts these cards and reserves the right to temporarily hold an amount prior to arrival. Please note that there is a mandatory airport boat shuttle. The cost for the airport/boat transportation will be XPF 3750 + 5% tax per person each way. These extra charges are to be paid directly to the reception. Please contact Bora Bora Pearl Beach Resort & Spa in advance to organize your transportation, using the contact details found in the booking confirmation. 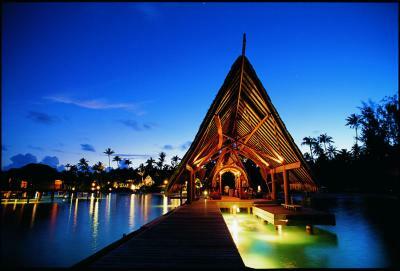 Bora Bora Pearl Beach Resort & Spa requires a credit card authorization form to be completed upon check in. Please note that a copy of a guest passport must be provided in order to charge the deposit. Alternatively, customers can choose to pay via bank transfer. Please contact the hotel directly for more information. Please note that there are compulsory dinners on 24 December and 31 December, these are charged respectively 16000 XPF and 26000 XPF per person, excluding tax. For more information please contact the property using the contact details found on the booking confirmation. Please note currency conversions by banks or credit card companies in processing payments are not within the control of Bora Bora Pearl Beach Resort & Spa and are subject to exchange rate fluctuations. A damage deposit of XPF 40000 is required on arrival. That's about 376.88USD. This will be collected as a cash payment. You should be reimbursed on check-out. Your deposit will be refunded in full, in cash, subject to an inspection of the property. The pool needs some work on the deck. The staff is RUDE!!! They made it obvious they do NOT like Americans. At meals we watched other tables get served while we were ignored. We tried tipping, making conversation, etc...nothing worked. Service was terrible. Bar staff did not know how to make even basic two ingredient drinks. Coffee in a room was not enough. Room service to be improved. Great location: wonderful view of Otemanu, wonderful beach. Very nice overwater rooms. The food was very limited if you didn’t like fish or seafood. We were there for 8nights and the menu didn’t change at all. Also the majority of the staff were happy and very helpful but one guy (who works on the beach) was so rude and said we couldn’t use the mini golf as it was getting late, he actually said NO when we asked for the equipment but when we asked to speak to the manager he suddenly had a change of heart. Absolutely stunning hotel and surrounding area, it’s like living the holiday brochures. We stayed in a overwater bungalow which was amazing. Beds super comfortable and the room was cleaned twice a day. A bit lack of meal options. A lot of fun activities with equipments free to borrow. Staff are friendly and helpful.